The volcanoes in Mexico continue to surprise us. 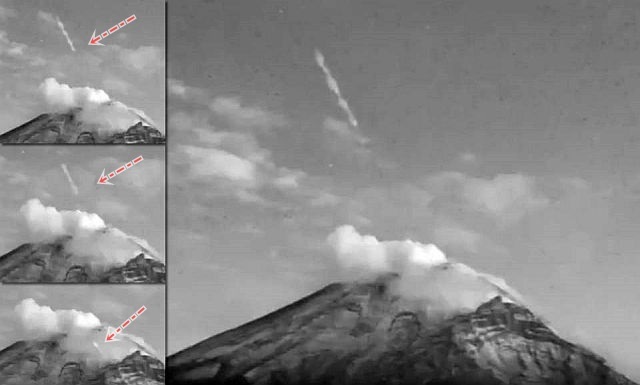 A new amazing footage has been released showing a ROD/UFO that shoots out of the Popocatepetl volcano. The live cam, which is located at about 6 kilometers from the volcano captured the moment the ROD/UFO shoots out of the crater. The mysterious Rod-like UFO was recorded on March 11, 2017 by Marte Salas.